Everyone who is serious about doing business needs a website. It does not matter if you are a manufacturer, retailer, service provider or non-profit organization. Years ago before the information super highway, most companies were content with their Yellow Pages listing. If you had a land line, and all companies did, you were entitled to a complimentary listing under your business category. However, if you had a little change left at the end of the month, you could have a bold listing. The assertive/aggressive business owners placed space advertising which would call more attention to their products and services and increase sales. Those days are gone forever. You say you are a manufacturer who has been open since the early 1960’s. Congratulations on being in operation for so long! Do you plan on still providing your customers with the goods they want 50 years from now? A website does not guarantee that you will remain in business, but it does guarantee that when your current customers view your site, they will believe they are conducting business with a company that understands innovations and keeps abreast of the latest time and money-saving methods. It gives them more confidence in you. It also give potential new customers a gauge on who you are and you sustainability throughout the decades. If you do not believe this to be true, go up on the Internet and search for your top five competitors. Can you find their websites? How much of your profits have they appropriated since they opened their website while you have been hiding behind a rock? Perhaps you are a small retailer and your objection to having a website is that you are not prepared to sell via e-commerce. While the ability to take orders via the Internet definitely increases your sales potential, you do not have to do any selling except from your brick and mortar location. What a website will do for you is keep you on an even playing field with your competition and give you the ability to keep your customers informed about sales, hours of operation, directions to your location and any other pertinent information you feel they would need. By having a website, your store is really open 24/7/365. Service providers can benefit greatly from a website. If you are a plumber, electrician, roofing contractor, or any other type of business that services homeowners, a web presence is good common sense. You can have an “about us” page that lists your experience, awards and credentials. You can have a small section of testimonials from real customers who have been happy with your work. This is a recommendation and a reason for the person searching for your specialty to call you before calling anyone else. You do not have to list prices, but you can list your regular business hours, daytime phone number and an emergency after-hour number. All homeowners know that when you call after hours for an emergency, the service rate always doubles. Are you missing those sales? If you are a dentist or even a funeral home and do not believe you need a website, go on the Internet and look up dentists or funeral homes in your area. Do you notice that someone is missing? How many customers have you lost because they could not find you and did not even know you existed? 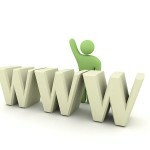 You may think that having a web domain and website is too expensive in these economic times. That is far from the truth. Keeping a domain and website active is actually very inexpensive when compared to other forms of marketing. There is the old adage that says size doesn’t matter. When it comes to your website, this is definitely true. When someone visits your site and a competitor’s, they cannot tell how large your office is, how many square feet are in your store, or whether you have five or 500 employees. What potential customers can tell from your website is whether or not you are professional. If your copy is not well-written and contains grammatical errors and poor grammar, they will certainly think you are a joke and go on to the next potential company. If you are going to put your name and reputation on the web for 500 million people to see, make sure it shows you, your product or service in the best light possible. One of your objections to maintaining a web presence may be that you do not have time to learn how to build everything and you are not a good writer. You just made your first step toward success. You should not know all of these techniques. Your time and energy should be spent doing those things you do so well – like running your business. It is not expensive at all to have an expert partner design and write the website for your company. You will be surprised at just how affordable the prices are today. You do not need a complex site to start, just one large enough to let your customers – and competition – know who you are and you are ready for any customer or order. 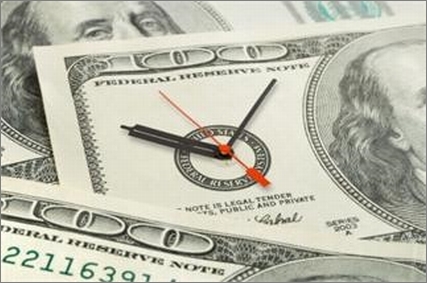 A professional website can save you time and money. With a Frequently Asked Questions section, you can let potential customers read what they need rather than call during business hours taking up the time of your personnel. A good website can act as an extension of your customer service area. While your staff may work until 8:00 pm, your website is open at all times and potential customers can “contact us” with questions or service needs. There is no other marketing avenue where you can gather detailed information on how many people are actually viewing your site. If you discover that many are viewing but few are buying, you are able to adjust copy, pricing and promotions immediately. You do not have to wait until the end of the month or when a mailed coupon has expired. Every company of every size needs a website. This vehicle keeps your customers up-to-date and keeps you in step with your competition.